We would like to take some time to explain what the custom showcases are. In jewelry showcases we try to create for you the designs that you have thought. However, of our hand go the basic designs. In the jewelry stores we usually see all kinds of sideboards and showcases, we have them, but for your convenience can be created and add various accessories for the jewelry to look. The buyer always comes to observe and that’s what we want: to buy. Types of jewelry displays for your business! Jewelry. 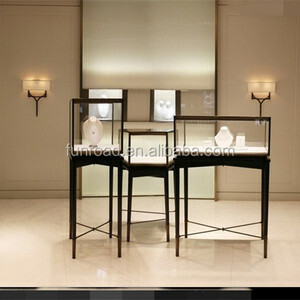 Displays are ideal for wearing jewelry because they make it possible to see the different styles. Second, they are ideal for distributing space and displaying interior designs in showcases. Velvet exhibitors. They are the classics. The purpose of using this textile in them is that the pieces are protected, above all that they are not scratched. The pieces stand out very well in them as long as you know how to choose the right color. Acrylic exhibitors. They are much more modern and avant-garde, when you exhibit your creations in them customers can appreciate the piece from all angles, so you leave no room for doubt and buyers buy the piece after analyzing all the details. Showcase. It’s the biggest thing you can get to display your designs, if you do not want to have many exhibitors this is the option for you, it concentrates your designs and preserves them in better condition. Amazing pedestal showcase. We present this pedestal showcase that is unique. Its lighting and finishes make it stand out from the others. It is made with very resistant aluminum extrusion and with the highest quality finishes. The pedestal showcases can be manufactured in different colors. Contact our assistants to buy your showcase. Choose from hundreds of combinations and surprise your customers.